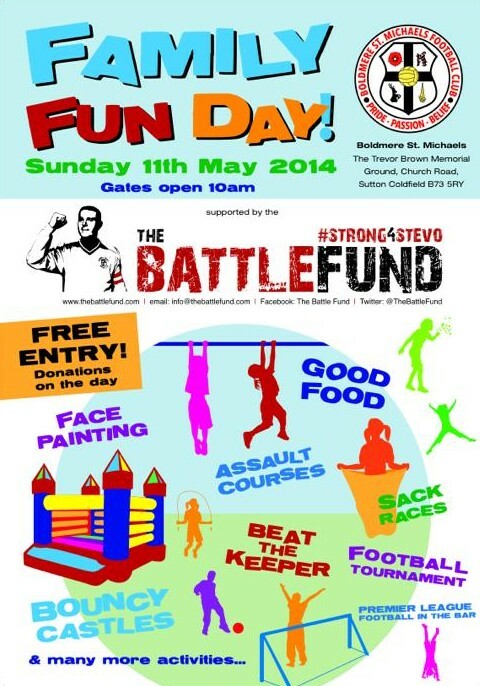 This Sunday, Boldmere FC will hosts The Family Fun Day! Fun for all ages!! With Bouncy castles, Bungee Runs, obstacle courses, and sports day activities to name but a few of the activities on offer. Additionally there will be a Perry Barr Fire Engine in attendance, and great food on offer from the lovely Nanpan. No need to worry about missing any of the football either, as this will be shown in the bar Get yourselves down there, gates open all day from 10am, admission is free.